And, didn't I say yes? Different person. That was Student. This is For Washu. Well, whatever. For Washu can claim Washu for now. If Washu Student comes on later, I'll throw a dice or see if they want to take turns. 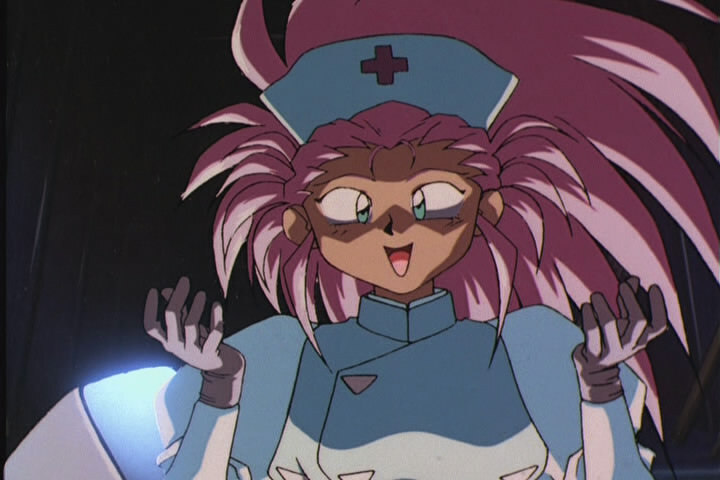 I'm quitting the roleplay/Mihoshi so someone else can be her. I'm just too busy with real life right now to roleplay, have fun guys. I'm here. I'd support taking turns. At this point, if you want to take over the role of Washuu, I don't have a lot of ground against that, seeing as how you kinda were here first. However, I must point out that I/Washuu have/has been trying to shake things up plot-wise. Y'know, just... *not* doing the normal things that always happen in an RPG. SO! Totally up to you. Hmmm...I guess I've claimed Washu then. Okay, now I've really gotten to liking the idea of being Tokimi and just randomly popping up to chat with Washuu. I won't (unless y'all want me to), cause it's pretty impractical. How would it be impractical? Do it! It'd be impractical because any consistent representation of her character wouldn't have her coming down into the story almost ever at all. Unless Our Dear Romanov's hidden power *is* of a high-level nature, but it was already established that it isn't. It's still within reason that she would come down to visit them from time to time. Though, what exactly would interest her? It's still within reason that she would come down to visit them from time to time. Tell that to Dr. Clay or Z. Though, what exactly would interest her? That's just what I'm saying: nothing would. Can I be Ryoko and Kiyone Makibi?